Fort Kochi's imperial Dutch and Portuguese buildings give us a glimpse of the invasions and settlements in the spice-trading city, which happened over the course of centuries. The city's historically rich past and the remnants of history in the form of beautiful buildings make it an attraction for history lovers and tourists alike. 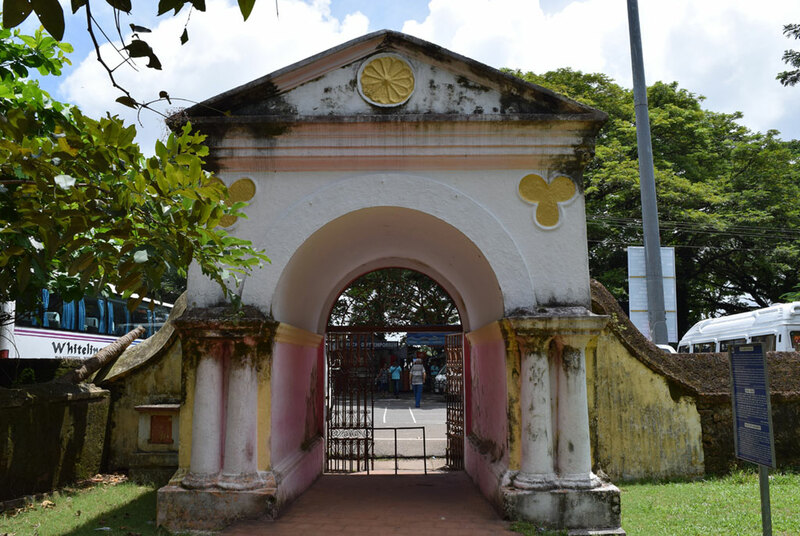 The Mattancherry Palace is one such elaborate property, which was given as a gift from the Portuguese to the Raja of Kochi, Veera Kerala Varma as a gesture of goodwill in 1555 after the Portuguese ravaged a temple nearby. The Dutch later renovated the palace in 1663 following which it became popularly known as the Dutch Palace. This awe-inspiring palace today stands as one of the finest museums in India from historical, cultural and architectural perspectives. This quadrangular palace is a beautiful fine mix of colonial and Kerala style of architecture. The Palace has a hint of European influence in the arches and the chambers and a conventional Nalukettu , a traditional Kerala style of architecture with a courtyard in the middle. The central courtyard is home to the deity of the royal family, Pazhayannur Bhagavathy and there are two more temples on either side of the Palace, one dedicated to Lord Krishna and the other to Lord Shiva. 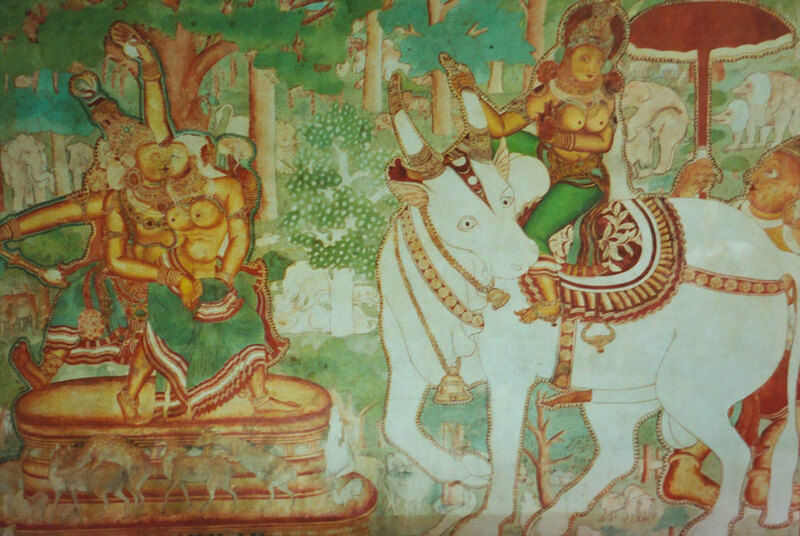 This double storied palace has many notable murals illustrating scenes from Ramayana, Krishna Lila and various gods/goddesses in different positions. The murals have been painted in rich warm colors in the tempera technique. The Mattancherry Palace also exhibits various weapons like ceremonial spears, daggers, and swords as well as ivory palanquins, golden thread woven ceremonial dresses, royal umbrellas, stamps and coins of those eras, and royal furniture used by the Kings of old. Drawings of the Dutch from the 17th and 18th century showing important plans of Cochin are also displayed. A treasure trove for history buffs! Portraits of Rajas of Cochin from 1864 by local artists in western style adorn the walls of the palace. It not only offers a short view of different architectural styles but also the grandeur and lifestyle of the royals in bygone eras. The Dutch Palace is located next to the Paradesi Synagogue Which was built in 1568. The palace temple and the synagogue share a common wall showing the volume of religious tolerance and intercultural accord that existed during the period between the various cultures that called Kochi their home. How to get there - The Dutch Palace is located 10kms from Ernakulam town and is well connected by ferry and road and a 10-minute drive from Hotel Forte Kochi. Read more about the various sights you should see while in Fort Kochi.